How would you like a wedding tailored to reflect your individual personality where your beliefs, values and wishes were understood, giving you your dream wedding? I would meet you both as a couple and get to know you, listen to your story, learn how you both arrived at this point of taking your relationship to the next stage and choosing to spend the rest of your lives together. Your wedding will be a declaration of your love for one another and one of the most important commitments of your lives. Choosing a celebrant to perform your wedding over the more traditional church or Registry Office wedding would most certainly be the right decision if you would like a unique, personalised wedding that truly reflects the essence of your love for each other. Your bespoke service will be truly meaningful and thus memorable, with a balance of formality and lighter moments, humour, laughter and tears with many heartfelt moments. It would be a celebration of your love. 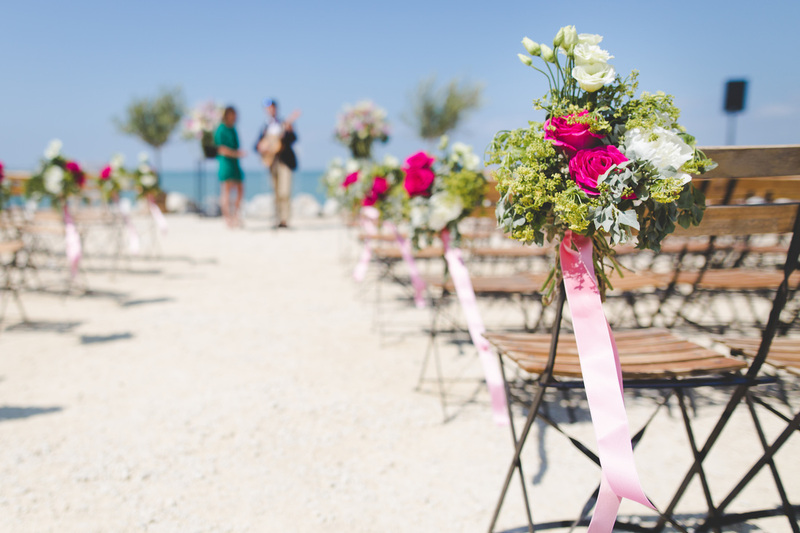 The choice of venue is completely yours, whether a hotel, a favourite café or theatre, a beautiful woodland or garden setting, or even on the sands of one of our many local beaches. This will be your day, your choices, although, if it is a wedding in a hot air balloon then you are definitely on the wrong website!!!! 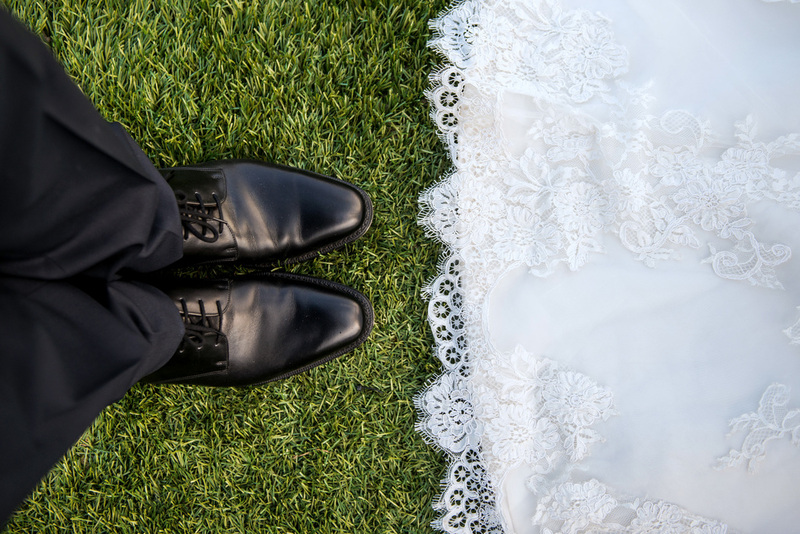 The venue does not have to be licensed for weddings as the legal part of your marriage will take place perhaps the day prior to the wedding or even on the day itself at the Registry Office. ​Most people consider the ceremony performed by the celebrant to be their real day of marriage, as this is when they say their vows to one another in front of their families and friends. What you may not realise is that the declaratory words (I do solemnly declare that I know not of any lawful impediment why I (your name) may not be joined in matrimony to (partner’s name)) and the contracting words (I call upon these persons present to witness that I (your name) do take thee (partner’s name) to be my lawful wedded husband/wife) are the only words legally required for marriage. You just need to go to the Registry Office with two witnesses to say these words and sign the legal register. You can go in jeans and a t-shirt and this only costs around £50. Your rings would not be exchanged at this time but during the celebratory wedding service. I provide a non-legal wedding certificate for commemoration of your wonderful day which will be signed by the happy couple, two witnesses and myself as part of the service. You may like a traditional wedding or prefer one that is a little more unusual such as a themed wedding that could include your shared interests, values and beliefs. You may have no religion, some religion or perhaps you are both have different religions or spiritual beliefs and your wedding service can be tailored around these in whatever way you would like. Your vows are the most important part of the service, they are the declaration of your love for each other, your promises and aspirations for the future. You could choose to write and read your own vows, or I could write them for you to read to each other on the day or alternatively I could write them and read them out on the day….the choice is yours. If you have children from your relationship or previous relationships or any other family members or friends who you feel would like to participate in the service, perhaps reading out a poem or reading, playing music or singing, then we would work together to include these into the ceremony. Together we can create the wedding of your dreams of which I would be honoured to conduct, and we will make this day truly memorable for all involved.